After leaving school in Hackney aged 16, Lord Sugar started selling car aerials and electric goods out of a van he bought for £50. In 1968, he founded Amstrad, and now, over 40 years later, he has an estimated worth of £730 million, and was ranked 85th in the 2010 Sunday Times Rich List. A former Chairman of Tottenham Hotspur FC, Sugar sold his Amstrad empire to Sky in July 2007. Sugar's other companies include AMSCREEN, which offers digital screen media advertising networks, AMSAIR, which offers business and executive jets to a number of high-profile clients around the world, AMSPROP, a property investment firm, and VIGLEN, a manufacturer specialising in computers, networks and solutions. In 2010, Lord Sugar released his autobiography, What You See Is What You Get and in 2011, he released The Way I See It. Nick's career has taken him all over the world and he has a lifelong passion for world travel. He has driven a 20-year-old Renault 4L solo from London to Mongolia for charity and has taken part in the BBC Children In Need trek from Istanbul to Almaty in Kazakhstan. As a patron of Hope and Homes for Children, Nick helps promote the British charity and has worked for them in Romania, Rwanda and Sierra Leone. He has a home in France where he indulges a passion for old tractors. 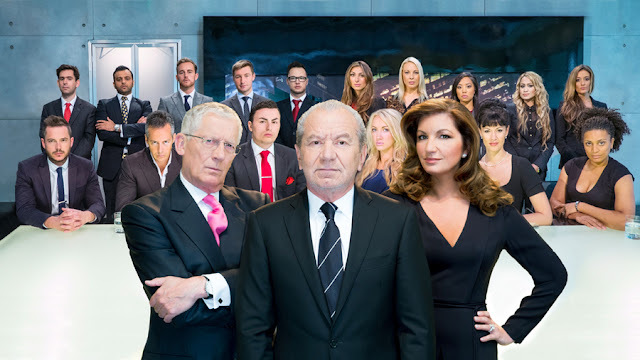 Nick’s much-loved dry wit and legendary facial expressions have taken him through eight series of The Apprentice and have also seen him appear on comedy panel shows such as Would I Lie To You? and Have I Got News For You. In January 2012 he became the presenter of Channel 4’s Countdown and recently appeared in the documentary Nick Hewer: Countdown To Freetown, also on Channel 4, in which he embarked on a mission to tow an industrial saw and generator to the capital of Sierra Leone to present to a young carpenter. Karren is known as the first woman of football. She was Managing Director of Birmingham City Football Club from 1993 to 2009 and during that time turned the Club's fortunes around. She took over Birmingham City FC when it was in administration, and in her first year at the helm, the club recorded a financial trading profit. In January 2010, Karren was appointed Vice Chairman of West Ham United FC. Karren has attracted much media attention in her career, and was the subject of an hour-long documentary, Inside Story - The Real Life Manageress shown on BBC One. She has hosted her own TV show, and has also presented shows on ITV. Karren has written four books and her autobiography, Strong Woman: Ambition, Grit And A Great Pair Of Heels, was released in March 2012. In 2010, following appearances as one of Lord Sugar's interrogators in the final interview round of The Apprentice, Karren replaced Margaret Mountford as Lord Sugar's aide on the series.